On October 1, 2015, Christopher Harper-Mercer, a 26-year-old student, fatally shot nine people and injured nine others on the Umpqua Community College campus, located near Roseburg, Oregon. Mercer then killed himself after a gun battle with responding police officers. This is the latest in what has been an increasing series of "school shootings." Click that link to see the scale. 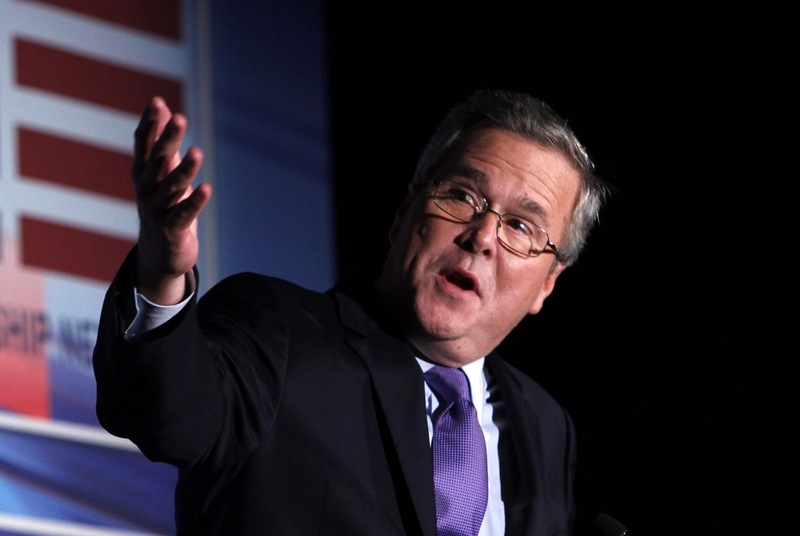 When asked about the latest school shooting, Presidential candidate Jeb Bush said "stuff happens." This rather unfeeling remark (hey, it wasn't his kids who were killed) caused an uproar. 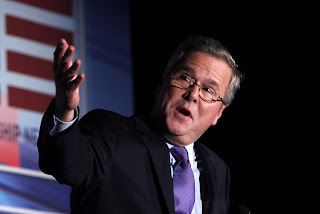 The comment will probably not do Bush's campaign any good, even though pundit Leonard Pitts, Jr. is trying to help Bush out, by converting his comment into just one more example of the "Bush family's war on English." The problem with Bush's comment, in Pitts' view, is not that Bush was being callous; "what makes his words appalling ... is the surrender they imply. 'Stuff happens?' That's what you say about the hurricane or the earthquake, the hail storm or the flood, natural disasters beyond the power of humankind to prevent. To say 'stuff happens' about a mass shooting is to suggest that mass shootings are somehow inevitable and unavoidable." I appreciate Pitts' realization that what "happens" in the World of Nature happens according to laws that are not subject to human control, and that everything that "happens" in the human realm can be changed by human action. In the human world, a world we create, things don't have to just "happen to us." We can make things happen the way we want them to. This idea is fundamental to the basic premise of my "Two Worlds Hypothesis." Nonetheless, while I agree with Pitts on this point, I don't agree with his claim that the Bush comment was not "callous." Let's be honest. It was. 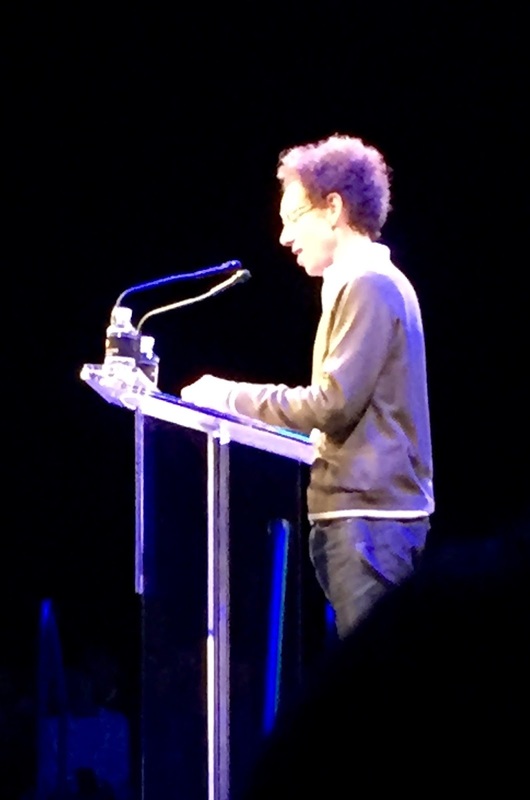 Meanwhile, I just heard Malcolm Gladwell comment on school shootings in a presentation at the New Yorker Festival, which Gladwell called "Conjuring The Behemoth." Gladwell is pictured above and to the right, as he gave his talk. 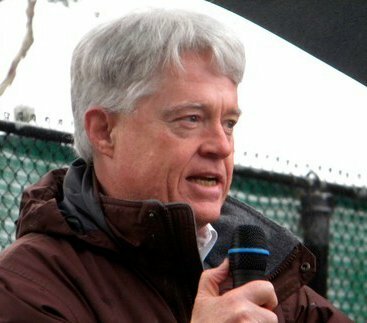 His commentary on school shootings was insightful, and unusual, and you can listen to an excerpt by clicking this link. You can also read his presentation in full, now entitled "Thresholds of Violence," and available in the October 19, 2015 edition of The New Yorker. If you care at all about what school shootings mean for our society, I think you will want to hear what Gladwell says. Gladwell's point is similar to, but more thoroughly outlined, than an analysis put forward in an article that appeared in The New York Times on October 8th, under the headline, "Mass Killings Are Seen As a Kind of Contagion." Gladwell divorces his analysis of the increasing number of school shootings from a call for gun control, and is particularly clear that this is not just a problem associated with persons who are mentally ill. In fact, Gladwell thinks that the rash of school shootings that began with Columbine should be evaluated with reference to a "threshold model" of collective human behavior as articulated by Mark Granovetter. Gladwell sees the series of school shootings as analogous to a "riot." The first person to throw a stone through a window lowers the threshold for future actors, and so what begins as something truly unusual becomes taken for granted, until those with even high thresholds against anti-social actions join in. Eric Harris, who orchestrated the Columbine massacre, was a true psychopath, but he set a pattern for the future that allows those without such psychopathic attributes to copy him. Gladwell focuses specific attention on John LaDue, from Waseca, Minnesota, who came close to carrying out a well organized school attack in December 2014, an attack that was avoided only by what was clearly mere chance. LaDue, an honors student, was emphatically not a psychopath, says Gladwell. It is my deeply-held conviction that in a world in which, literally, anything is "possible," we each learn about the dimensions of the possible by looking at what actually happens in the world we see. When we model school shootings as "normal," or "expected," we do lower the threshold and allow them to become exactly that. And so we find ourselves, today, in a world where endless violence is the "normal." We can debate whether it is the "new" normal or the "old" normal, but violence is what we see all around us. The threshold for violence is way too low!